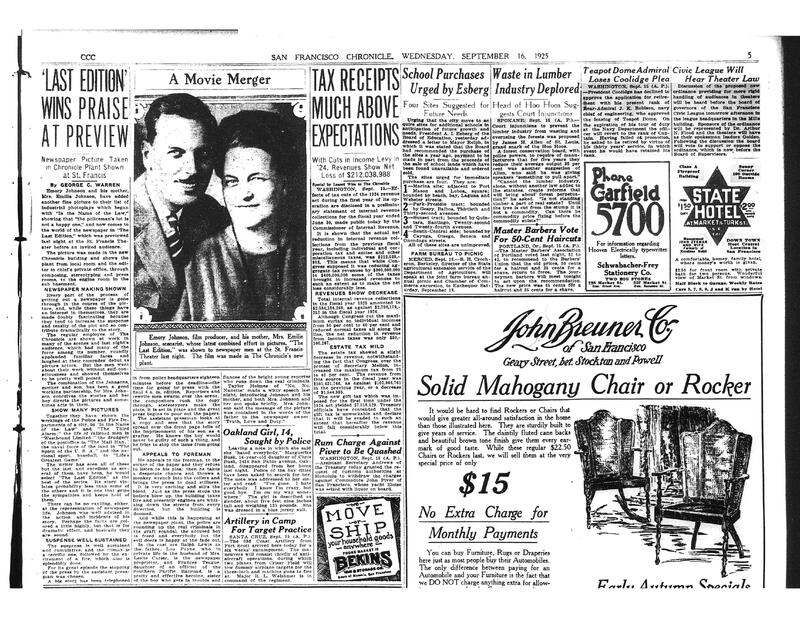 A report on the succesful preview screening of The Last Edition from a mid-August edition of the San Francisco Chronicle in 1925. A picture of the mother – son, writer – diretor team of Emilie and Emory Johnson features. Courtesy of San Francisco Public Library.